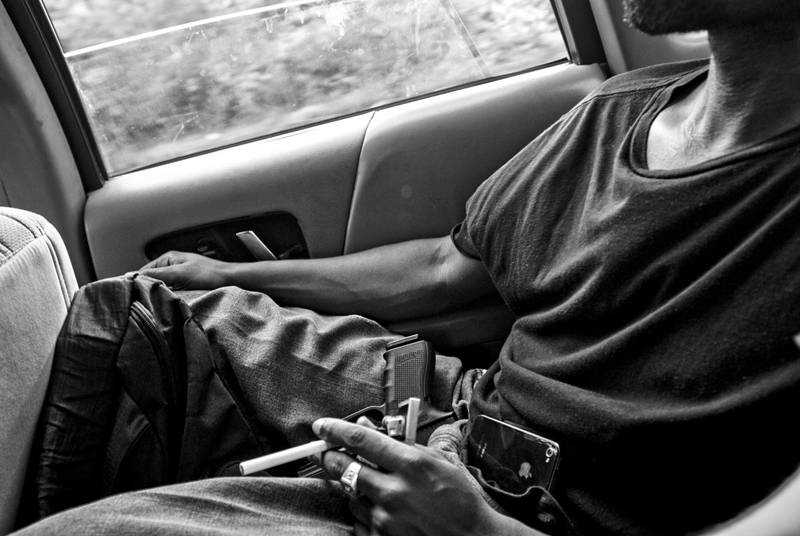 Big Rickie keeps his handgun on his lap while driving through Gary, Indiana. As a matter of course, many in Gary carry handguns for personal protection. There has been a spate of murders in Gary late in the summer. Big Rickie works as a barber in Gary and is working on building his rap music collective "Addictive Music."